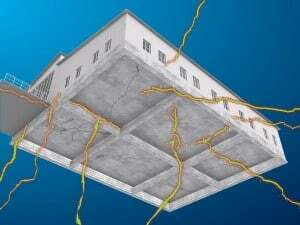 Termite and pest exclusion is about the building envelope. Termites and other pests penetrate the building envelope from the outside. 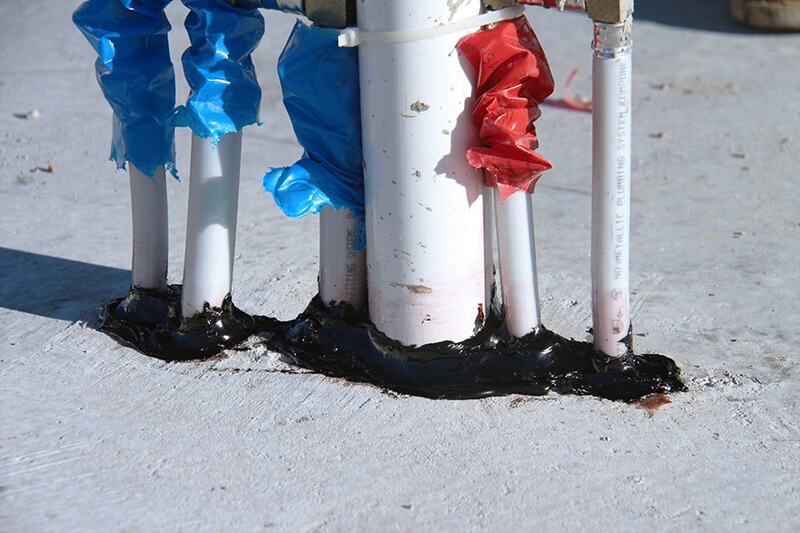 Water enters the building envelope through cracks, joints, or gaps in the envelope sealant. Insects enter the same as water. Insects forage, looking to find a way inside. They are searching for a warm and dry place to live, protected from predators, with food nearby. Most buildings fill all three of these insect needs and thus present an attractive target. Termites, however, are a special problem. According to Pest Control Technology Magazine, termites cause $5 billion per year in damage across the US. Subterranean termites, as their name implies, mostly come from underground through cracks, joints, penetrations, or other gaps in the concrete slab. They also emerge from below ground and build protective “mud tubes” up the sides of exposed concrete perimeters. Termite control is no longer just the job of pest control operators. 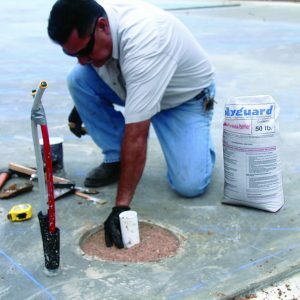 Pest control operators have historically performed preconstruction termite treatment by applying termiticides underneath the slab and at penetrations and bath traps. With the development of TERM Barriers, sustainable termite and pest exclusion is built into the structure. 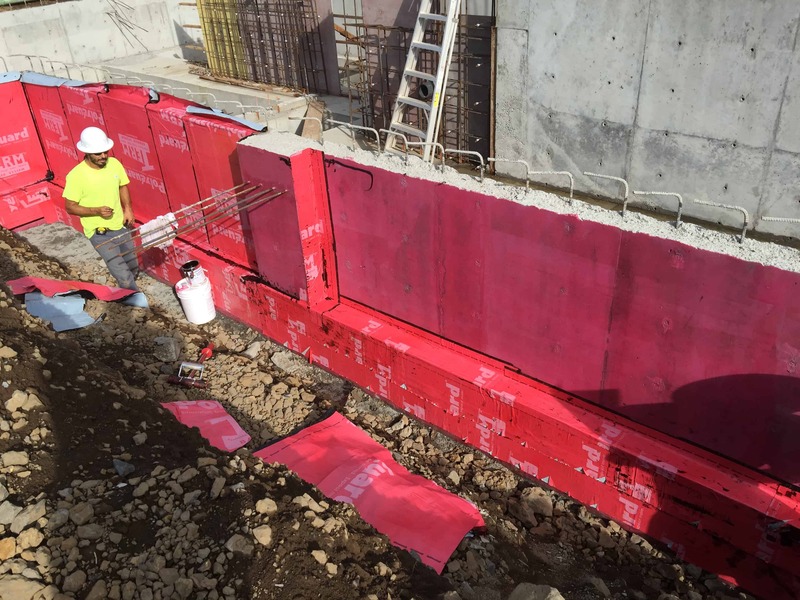 TERM Barriers are mostly installed by construction trades such as waterproofers, framers, and masons. Pest control operators will install some non-chemical TERM barriers, such as plumbing penetrations and bath traps. 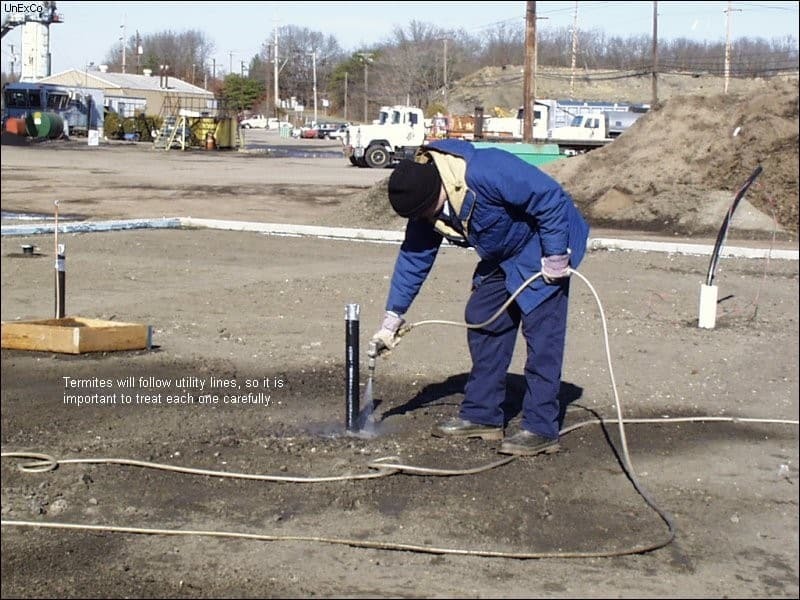 Since most TERM Barriers use materials already familiar to the construction trades, the appropriate trade should perform the installation. 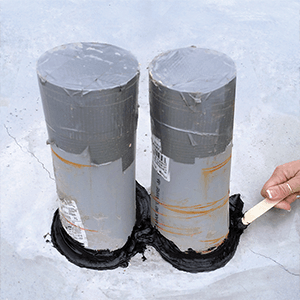 Most of the difference is in the TERM sealant, an upgraded waterproofing sealant, which after 18 years of university testing, has demonstrated the ability to be a non-chemical barrier to termites. 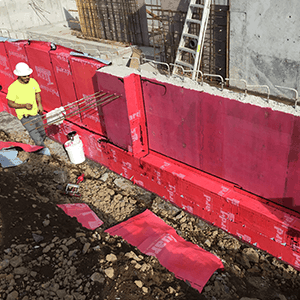 Installation: Identical to Polyguard 650 and other conventional peel and stick waterproofing. 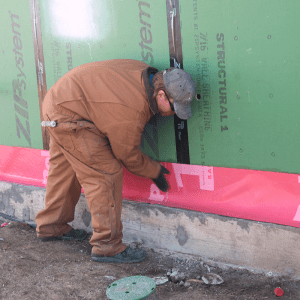 Installation: TERM Sill Barrier is a peel and stick, and covers not only the top of the sill, but onto the slab. 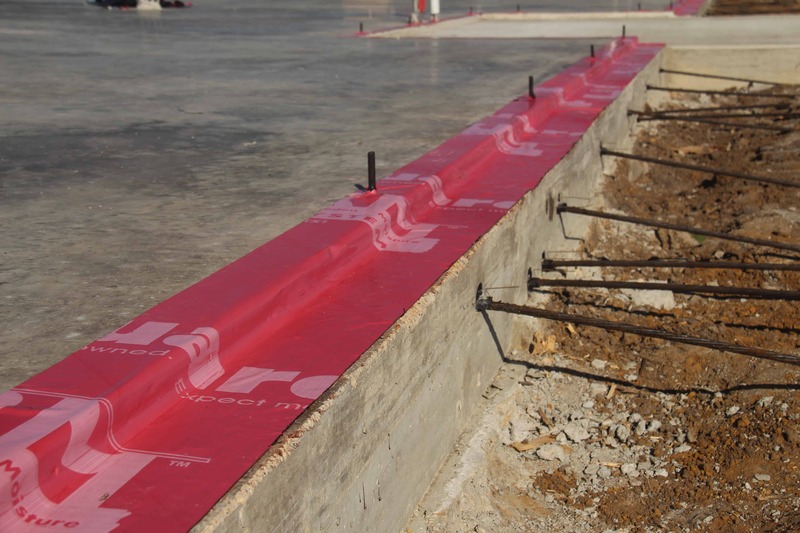 Installation: Identical to Polyguard and other peel and stick flashings. 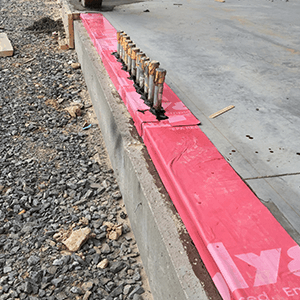 Installation: Sealing of slab penetrations is new to PMPs, but the application is quite simple. 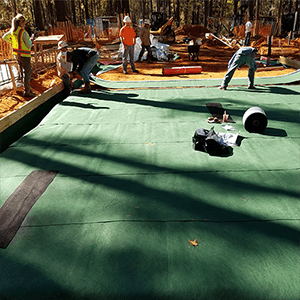 IInstallation: TERM Particle Bath Trap Barrier (shown) is a 3-step process performed in an area which has historically been ignored.